Happiness is finding the best thrift deals! We’re celebrating happiness all month long, and we know how much HAPPINESS can come with finding the best deals. 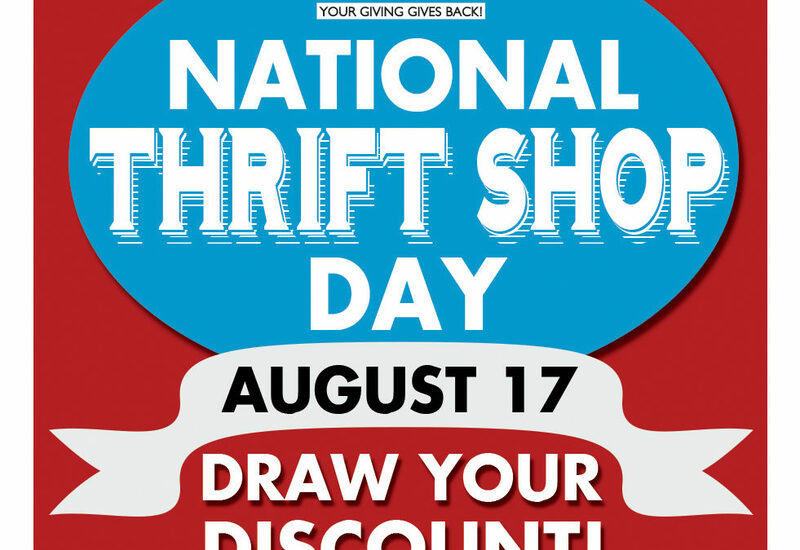 So, we’re bringing back one of our favorites to celebrate with you on National Thrift Shop Day – Draw Your Discount! 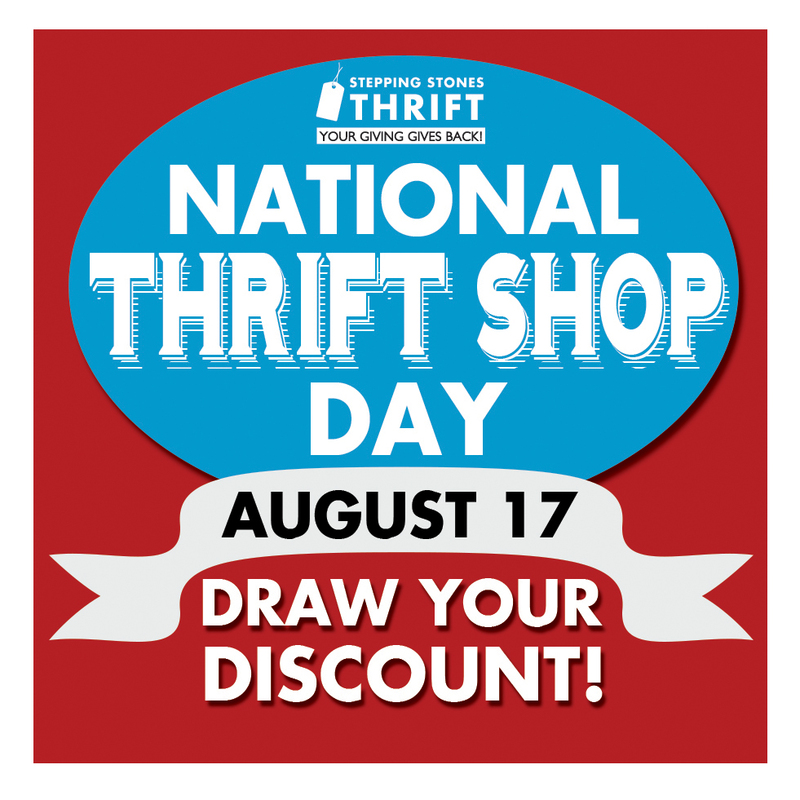 Come by any of our three thrift store locations on August 17 and draw a special discount on your purchase at that location (some exclusions may apply)! If you’re lucky, you could earn up to 50% off your purchase. Also – don’t miss our special senior discount day on Friday, August 3! Seniors 55+ can shop and receive 25% off their purchase. Ask thrift associates for details.